People today demand more from brands. Customers/consumers have a need to be satisfied with not only their purchases, but with their experiences. Brand trust is important, and referrals go a long way to building that brand trust. How does this effect my Grange? The bottom line is that the Grange is a brand. How does your Grange build up a level of trust with its members and with those who patronize Grange dinners and activities? One of the best way to establish trust for your Grange is by a positive “Word of Mouth” campaign. If Jane Doe goes to your Grange meeting and does not have a good time, then she conveys that experience to her friends. Why would you want to attend a meeting at that Grange if Jane didn’t enjoy herself? As her friend, you trust and value Jane’s word. 1.) The first step - and the most important - is to promote a positive image of your Grange. Even in the worst of times, it is best to take the high road and look for a positive outcome within each of the negatives. It’s the glass half empty vs. half full analogy. Brainstorm ways to improve your Grange instead of just falling back to the excuses of why something is not working. Always keep conversations about your Grange positive and forward-thinking. 2.) Consider the impression that your Grange leaves on non-members. Does your Grange appear professional? Are the interactions between members and non-members friendly? Does your Grange appear “clique-y” to outsiders? Take a look at the overall attitude and appearance of your Grange when viewed from the outside looking in. 3.) Would you refer your Grange to a friend? As a member of your Grange, would you ask a friend to join? If the answer is no, there is a problem that needs to be addressed. 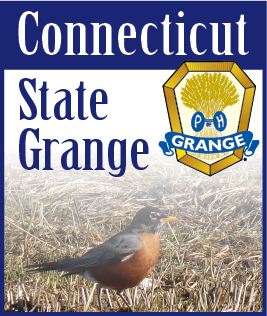 What does your Grange need to change so that you would ask your non-Grange friends to become part of the organization? 4.) Is your Grange attentive to suggestions? Does your Grange discuss ideas for improvement when they are made - by both members and non-members - or do you ignore them, or even worse, put them down? Not every idea is suitable or even attainable, but EVERY idea should be discussed keeping in mind the well-intention with which it was made. With a little bit of effort, Granges can be projecting a positive brand image that will have people talking about the positive aspects of the organization. Through positive Word of Mouth, your Grange will gain credibility while building the loyalty of members and non-members alike.